Good Morning. This is Capital Essence’s U.S. Market ETFs Trading Map – SPDRs Sector Report for November 8, 2018. 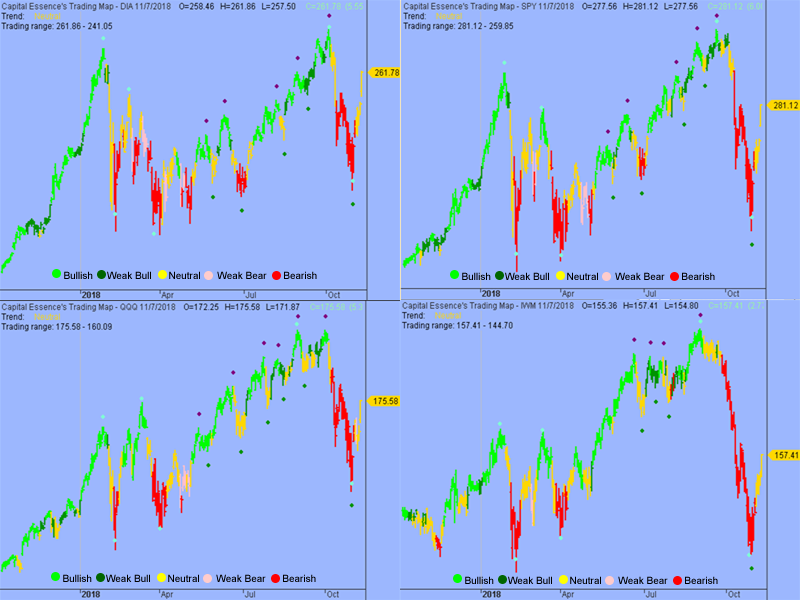 Below, daily, weekly and monthly technical overviews and analysis for major indices, key sectors, commodities ETFs. This information is a comprehensive summary derived from our proprietary trading system. Daily trend: DIA, SPY, QQQ and IWM are in yellow (neutral). 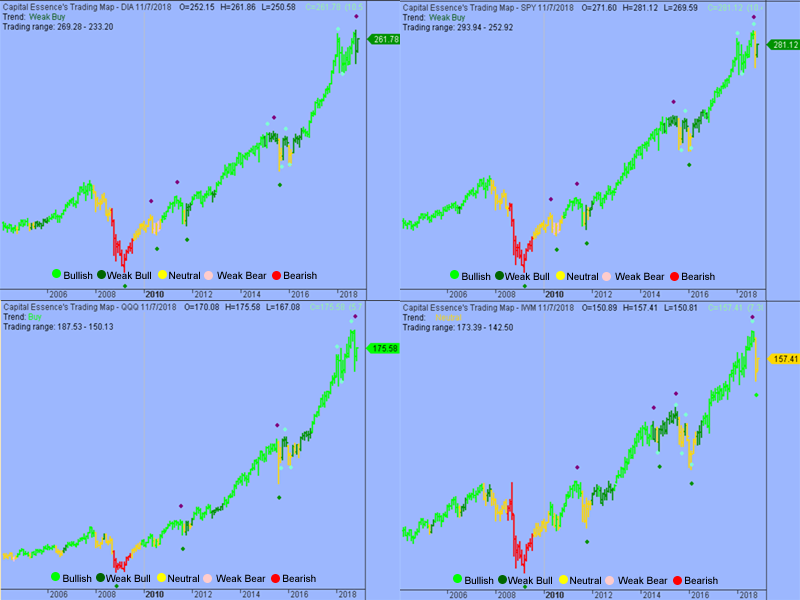 Weekly trend: DIA and SPY are in light-green (weak buy). QQQ is in yellow (neutral). IWM is in red (sell). Monthly trend: QQQ is in green (buy). 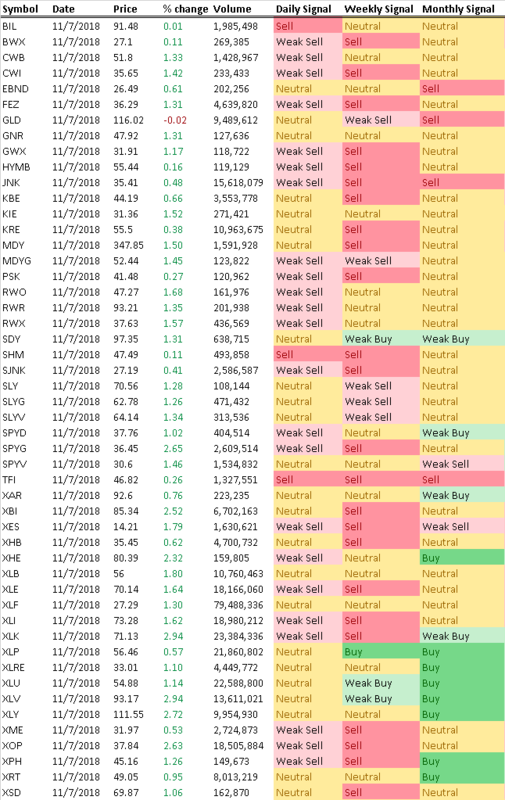 DIA and SPY are in light-green (weak buy). IWM is in yellow (neutral). 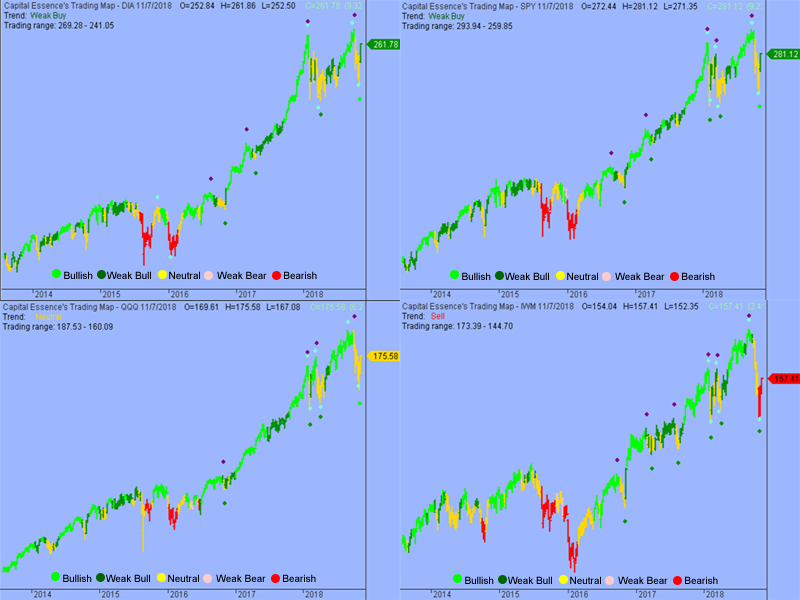 Signal (daily, weekly and monthly): each ETF is rated base on our in-house algorithm and proprietary trend indicator. Trade in the direction of the trend. That’s said, if the signal is “Sell or Weak Sell”, trade on the short side. If the trend is “Buy or Weak Buy”, trade on the buy side. If the trend is “Neutral”, it’s best to buy when it’s oversold and sell when it’s overbought or simply stay on the sideline.